In Article 1 we went over the features of the AQ1. In Article 2 we showed the power behind the data logging. 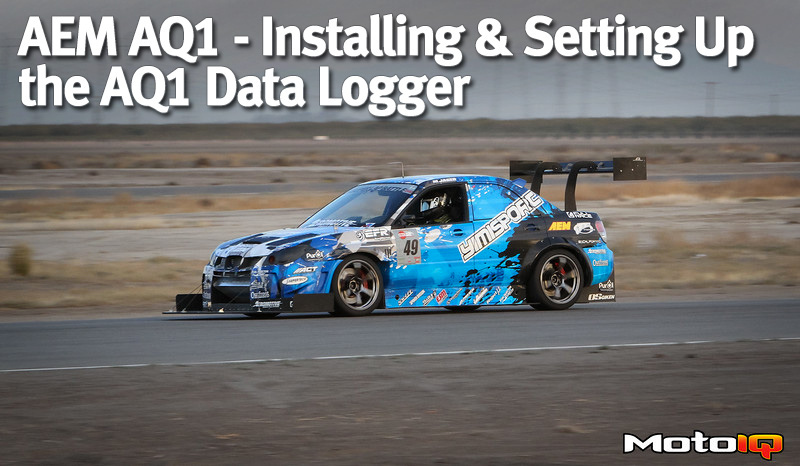 In this final section, we’ll go through our installation of the AQ1 into the Jager Racing car and some lessons we learned in the process. In an effort to make things easier to read, we’ve split up this article with 9 Tip Boxes. The Tip Boxes summarize the content of the section that follows it. Read the manual. Read the manual. Read the manual. Did I mention to read the manual? Also, follow its instructions exactly.. It goes without saying that one should read the manual and fully understand the product installation before proceeding with the actual installation. Naturally, of course, that is exactly what we didn’t do. We skimmed through the manual and starting diving into the actual wiring process. In particular, we glossed over the power connection advice given on Page 3. We thought that attaching two power inputs to the AQ1 was redundant, so we only wired the switched power up to 12 volts, leaving the permanent power disconnected. Weeks later once we had the entire wiring harness done and the sensors connected, we could not figure out why the AQ1 wouldn’t turn on at all. Finally after a few days of frantic wire checking, we decided to add power to the permanent power pin on the AQ1, and viola! The AQ1 worked. In addition to wiring both permanent power and switched power to 12 volts, make sure that the permanent power comes off of the battery used on the car, not the engine alternator. We have both our 12V sources coming off the alternator, which means that we lose data log files whenever the car stalls. By having the permanent power off of the battery, you do not run into this problem. Invest the time in creating pin-out tables and wiring diagrams for your planned sensor wire harness. They save so much time when debugging issues with wiring or setting up sensor channels. Remember to update them frequently when changing the sensor harness. Always keep a copy handy when at the track to debug any issue that may arise. When creating the sensor wiring harness and wiring up connectors, it is almost a requirement that you first create a pin out table. A pin out table is basically a small table that lists the pin of a connector, and where it is wired to. These become VERY handy when debugging problems and setting up sensor channels on the AQ1 software. They do not have to be complex, and can be made in excel. Table 3.1 below shows a pin out diagram we made for the AQ1 connector to the male connector in Figure 3.1.A and Figure 3.1.B below. Figure 3.1.A: Diagram of the AQ1 female connector. 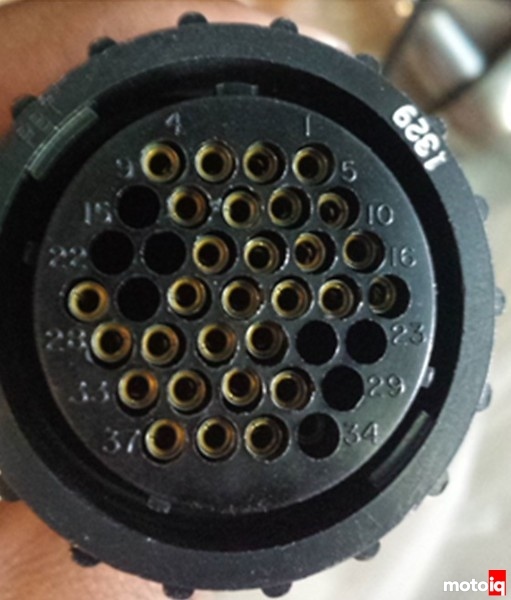 Figure 3.1.B: Male CPC connector wired to AQ1 connector. 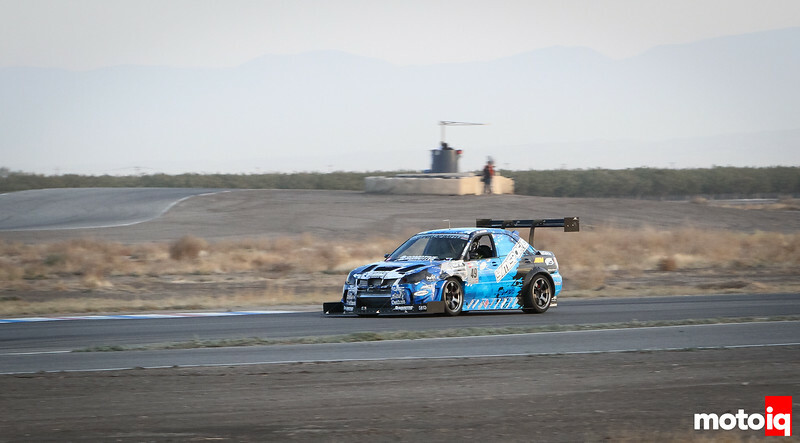 Mark Jager of Jager Racing piloting the AEM AQ1 equipped Subaru around Buttonwillow Raceway.